Persephone Reading Weekend, hosted by Claire and Verity, is officially underway. 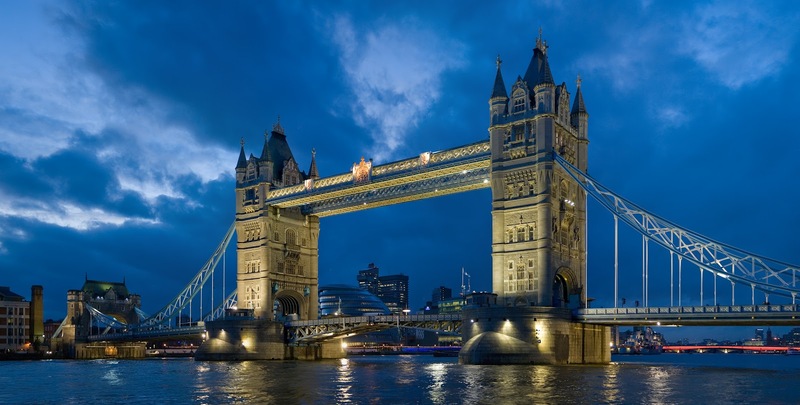 What better way to begin than with a trip to London? We leave this afternoon (in the midst of yet another snowstorm) for New York City, where we'll catch an overnight flight to London. Although I may not get to Persephone Books before closing time on Saturday, a visit later in the week is a given. If I'm lucky, there may even be an opportunity to meet our hostesses! Of course Persephone Reading Weekend is not the reason for our trip, but it is a very fortuitous coincidence. 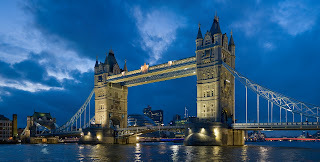 Daughter #1 is studying in London this semester, and my husband and I will celebrate our 25th wedding anniversary with this trip. 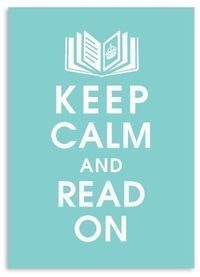 We have a full week planned, but ample time has been set aside for book browsing. I hope you enjoy this Persephone-filled weekend... will catch up on all your posts when I return. It's Sunday morning and I should be writing a Sunday Salon post. 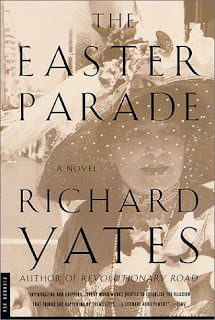 There are reviews of The Optimist's Daughter and The Easter Parade in progress. I'm anxious to continue reading both To the Lighthouse and Notes on a Scandal. 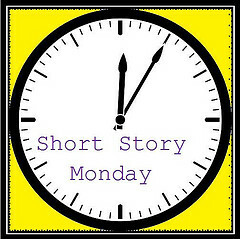 A post could be written for Short Story Monday tomorrow, but these things aren't happening today. I have a new toy. 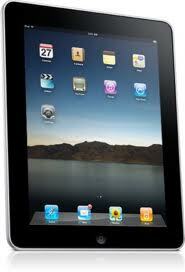 We purchased an iPad for our upcoming trip to London. The idea is to stay connected without lugging around laptops, but I'll also give it a try as an e-reader. If you already own one, do you read using iBooks, the Kindle app, or something else? Are there other apps I shouldn't miss? Any hints and suggestions for getting started? "She believes in marriage, you see. She said to me once 'I was a virgin when I got married and I've been a virgin ever since.' Isn't that the damnedest statement you've ever heard?" It's Sunday and, I know I'm beginning to sound like a broken record (anybody remember those? ), it's snowing. Yesterday we experienced white-out conditions and dozens of accidents caused roads to close. Today, with the annual snow total topping 140", I'm raising the white flag and crying uncle. You win, Mother Nature! We did manage to get the roof issues under control last week. Three guys with shovels and sledgehammers made a LOT of noise, but the ice dams were broken and removed. Hopefully the water woes are over, but we must deal with interior repairs in the spring. On Wednesday, we were surprised to see a very large backhoe in the driveway. Evidently the snowplow guy is out of places to put the snow and needed to move back the snowbanks. They are so tall, I won't be surprised if they are still here in April! After 100 pages, Waiting for Columbus still hasn't grabbed me... and I can't figure out why the women keep tripping in their high-heeled shoes. Anyway, I asked what you all thought about giving up on book club selections. I tend to tough them out, but was shocked when the author dropped in and gave me permission to put his book aside. I decided to take a break and return to it next week. My current book is The Easter Parade by Richard Yates. I love this one! It is so real and well-written, although I know things can't end well for the characters. With any luck, I'll finish this afternoon and have time to read a short story for tomorrow's post. How was your week? Are you reading something good today? Most of us already know that good food is the perfect complement to a good book, and Judy Gellman and Vicky Levy Krupp have published a unique cookbook that offers us the best of both. 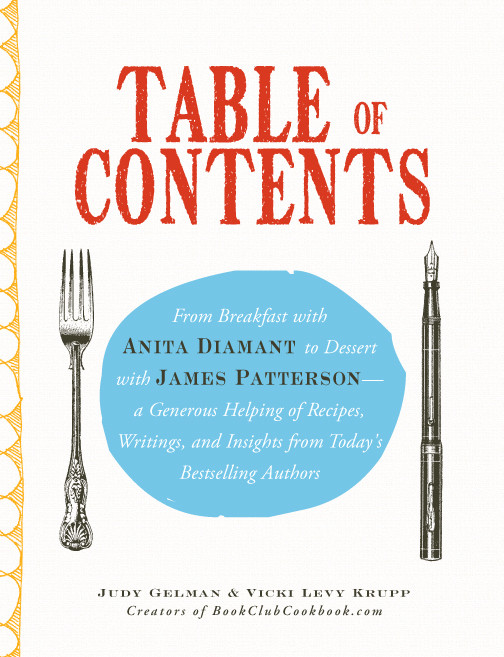 Table of Contents features recipes drawn from the work of today's bestselling authors, along with intimate insights that help bring their books to life. 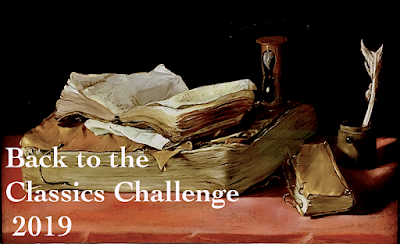 The fifty authors involved in the project were given a series of prompts: inspiration, readers should know, readers frequently ask, authors who have influenced my writing, etc. Many also provide additional background on their chosen recipes. The book is arranged alphabetically by author, and features a chart with book/recipe pairings, along with a recipe index and general index. From breakfast to dinner, and cocktails to dessert, a wide variety of recipes is included. With Enzo's Pancakes from Garth Stein (The Art of Racing in the Rain) and Blue Sky Bakery's Chicken Garlic Dog Biscuits courtesy of Jill Ciment, even our canine companions will find something to love. 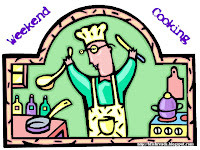 It was a pleasure learning more about authors I already "know" while perusing recipes from their books or lives. Last year I enjoyed the audio version of The House at Sugar Beach by Helene Cooper (my review). In Table of Contents, I read about Cooper's first attempt at hosting a dinner party in her one-bedroom Notting Hill flat. Her mother assisted in planning the 'Liberian' menu, and I chose to try her Shrimp Creole recipe on my family. 1. Season shrimp with paprika, salt, seasoned salt, and pepper, and toss to coat shrimp evenly. 2. Heat 2 tablespoons of oil in large saucepan over medium-high heat, and saute shrimp on both sides until opaque, about 5 minutes. 3. Add remaining tablespoon of olive oil, onion, bell pepper, and chile, and saute until softened , about 5 minutes. Add okra, carrot, and water or broth. Simmer, stirring frequently, about 15 minutes. Add peas, adjust seasoning, and simmer another 10 minutes. 4. Serve over white rice. Note: You can buy fresh shrimp, or pick up frozen shrimp and thaw them. We leave the shell on for cooking and serving shrimp because that helps retain the flavor. It's peel and eat while on your plate, but I highly recommend first licking all the lovely Creole juice off the shrimp before peeling it. Wear plastic or rubber gloves while handling the chiles to protect your skin from the oil in them. Avoid direct contact with your eyes and wash your hands thoroughly after handling. Last summer, as a variation on our annual pot-luck dinner, my book club read A Homemade Life by Molly Wizenberg and each of us prepared a recipe from the book. The meeting was a huge success (read about it here) and we have decided to follow that format again this summer. Table of Contents will definitely be one of the books up for consideration. 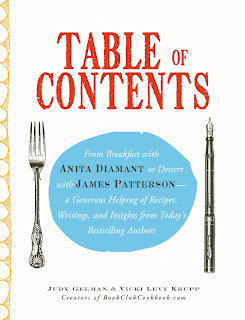 I received a review copy of Table of Contents from the authors. 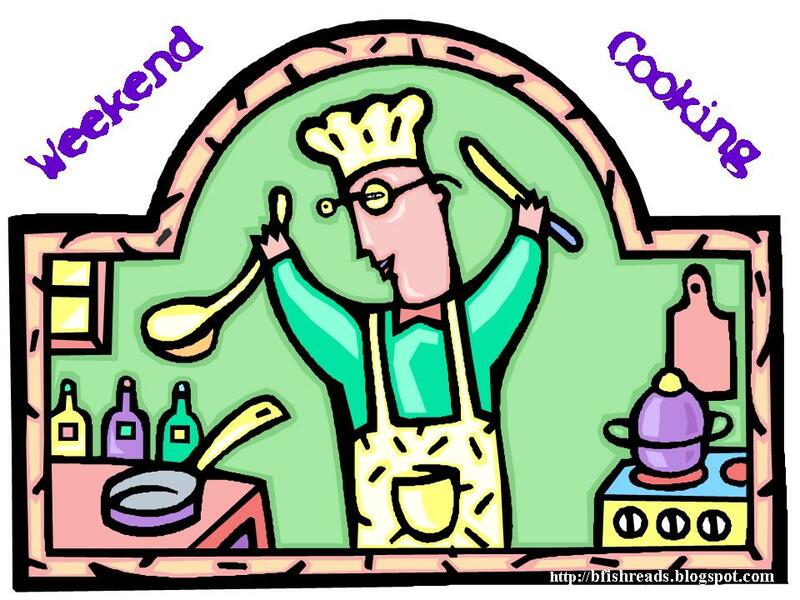 Weekend Cooking, hosted at Beth Fish Reads, is open to anyone with a food-related post to share: Book (novel, nonfiction) reviews, cookbook reviews, movie reviews, recipes, random thoughts, gadgets, fabulous quotations, photographs. If your post is even vaguely foodie, feel free to grab the button, head over to Beth Fish Reads, and link up anytime over the weekend. 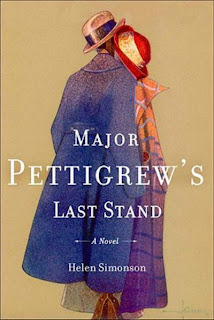 Since it's recent paperback release, it seems that Major Pettigrew's Last Stand is everywhere. Like most other bloggers, I really enjoyed this charming, cozy novel. An escape to the English countryside was the perfect diversion from our unrelenting winter weather. Eight members of my book club braved the elements last week and gathered for our monthly discussion. We generally meet in member's homes, but the snow has caused parking issues for many of us and we chose to visit the local coffee shop instead. Seven of us finished the book, and one was still reading. Our meetings begin with a quick poll of reactions to the book. Seven of us liked or loved it (I gave it 4 stars) and one member had a lukewarm to slightly negative reaction. 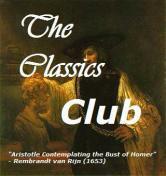 A few thought this was the best book the group has read in a long time. Overall, we appreciated the simple, straight-forward story that offered a variety of topics for discussion. A group of eight women can sit around talking about family dynamics, love, racism, cultural differences, development/environmental issues for hours... and we did. As I was reading the book, a nagging worry of mixing titles with another favorite (Miss Pettigrew Lives for a Day) ran through my mind. As it turned out, I was not alone. Thankfully, none of us referred to the book as 'Major Pettigrew Lives for a Day', but we did conclude that a book with 'Pettigrew' in the title is probably a winner! Reviews of Major Pettigrew's Last Stand can be found though Firefly's Book Blogs Search Engine. "The passage from freedom to incarceration is never an easy one. The passage from an unacknowledged, untested sanity to a diagnosed insanity is equally problematic. The first time Nurse Consuela Emma Lopez entered his world, it was with nervousness - with the trepidation of a sparrow pecking the ground a few meters in front of a perfectly motionless cat." My book club will discuss Waiting for Columbus next month. The premise sounds interesting, yet after 100 pages, it still hasn't really grabbed my attention. I'm tempted to put it aside but, since it's for book club, I'll persevere... and hope to be pleasantly surprised. Do you always finish book club selections? 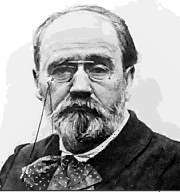 Everything is for sale in Emile Zola's Paris, and beauty, as a commodity, is no exception. After moaning for years that no one can make money out of ugly girls, the old businessman Durandeau finally hit upon a way to market ugliness. His company, Rentafoil, allows a moderately pretty girl to rent an ugly one as a 'suitable embellishment', or foil, in order to enhance her own beauty as the pair stroll the streets, gaze in shop windows, talk, and laugh together. "...only pretty women have the courage to make a false confession of ugliness. The ugly ones would never admit of their own free will that their mouths were too big and their eyes ludicrously small. You could put up notices all over Paris offering ten francs to every ugly woman who cared to apply without the slightest risk of becoming impoverished." His advertisements are of no use, so Durandeau searches the city himself, and with great finesse, is able to find enough women willing to act as foils. The business became a huge success boasting many regular beauty/foil pairs. But what of the life of the foil? "They spend all day in a whirl of gaiety. At night, they fret and fume and sob. They've had to take off their fine dress which belongs to the agency, they're alone in their attic, sitting in front of a bit of broken mirror which tells them the truth. Their ugliness is staring them mercilessly in the face and they're quite aware that nobody will ever love them. They may help to excite desire but never will they know the joy of being kissed themselves." "Mankind marches on. Durandeau will be blessed by future generations because he created a market for a hitherto unsaleable commodity and invented a fashion article which makes love easier. " One again, Zola provides another startling look at human nature, warts and all. "Rentafoil"maybe not a pleasant read, but it is remarkably perceptive. This story appears in Dead Men Tell No Tales and Other Stories by Emile Zola (1840-1902). It may also be read online. Snow totals have topped 130" this season and, to no one's surprise, Syracuse has been declared the snowiest city on the continent. Enough already! After another cup of coffee, I'm heading out with the roof rake to remove more snow. Later there will be a Super Bowl Party at my sister's. I like football, but am not a huge fan of either team, so this year the commercials are the main draw! Hope you stay warm and dry this Super Bowl Sunday. Although we seem to have dodged the big one, it's another snow day in central New York. The storm tracked slightly to the north and we ended up with sleet instead of the predicted 18" snowfall. This seemed like a lucky break, but then I opened this morning's Post-Standard. According to David Phillips, senior climatologist for Environment Canada, it appears that Syracuse, New York has earned the distinction of being the snowiest large city on the continent (yes, continent!) this winter. We've already received 118.9" of our 120" average annual snowfall, and two more months of winter weather looms ahead! We can only hope Punxsutawney Phil got it right this morning. Here's to an early spring... Happy Groundhog Day! Madame Wu, mistress of an old and respected Chinese family, decides to implement major changes in her household as she reaches the milestone of her fortieth birthday, beginning with the addition of a second wife for her husband as she 'retires' from her physical duties. Heralding the beginning of a new phase of life, a woman's fortieth birthday held special significance in the great families of pre-communist China. The novel opens as Madame Wu prepares for her celebration. After careful deliberation, she enters into the second phase of life by selecting a second wife for her husband. In addition to wielding much power within the family, Madame Wu is also a highly intelligent woman, an attribute both praised and lamented by her late father-in-law. When a foreign priest, Brother Andre, is employed to teach her son English, Madame Wu has initial misgivings and insists language be the only thing taught. However, she soon finds herself drawn to both the man and his ideas. With all that said, I suppose Pavilion of Women could be viewed as the ultimate midlife crisis in an exotic setting, but in reality, it is so much more. Buck's familiarity with the country is evident, and her keen insight into Chinese culture, customs, and family dynamics shines through. The reader, Adam Verner, did an excellent job capturing the elegance, grace, and calm of Madame Wu, and the entire Wu household. The narration was perfectly suited to the text, but I initially had trouble adjusting to the slow pace. Still, it took less than one disc before I was entranced. note: There were many profound passages I wanted to reread and share, so I borrowed an ancient copy of the book from my library. 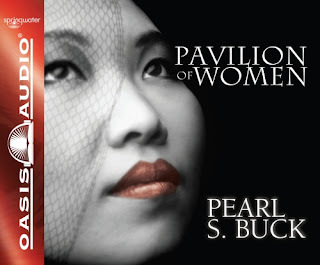 I loved Pavilion of Women and plan to read much more by Pearl Buck, beginning with a reread of The Good Earth. Highly recommended.